Well planned is half done in many situations. 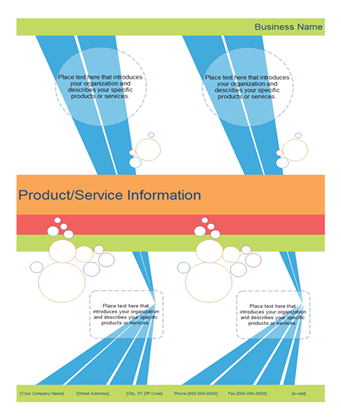 Here are many visualization solutions. Apply them to make event planning easy and effective. Promote your events with impressive flyers. Make the events more influential. Attract more participants instantly. These can all be achieved by using Edraw. Flyers are a low-cost form of mass marketing or communication. Aided by Edraw, publicity costs next to nothing, saving the expense of asking others to design. Even novice users can design professional-looking flyers in Edraw thanks to many predefined symbols. 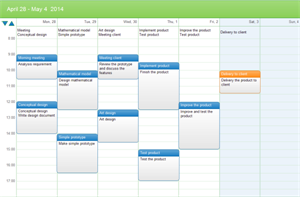 Edraw calendar is not like general ones, being dynamic and practical. 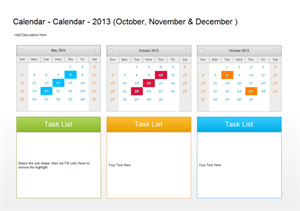 Create and customize your own personalized calendar, not those from mass production without uniqueness. 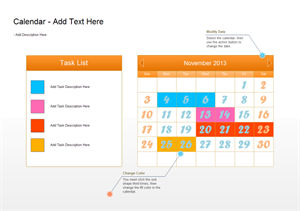 Using digital format calendars also save you papers. Certainly, you can also print them out as reminders all the time. 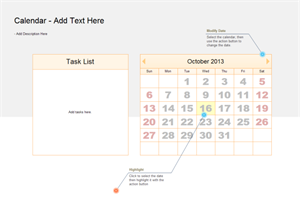 Edraw is definitely an unmissable way to plan, track and manage your projects. Even non-project managers are using it. Keeping track of your project progress gives you more control. 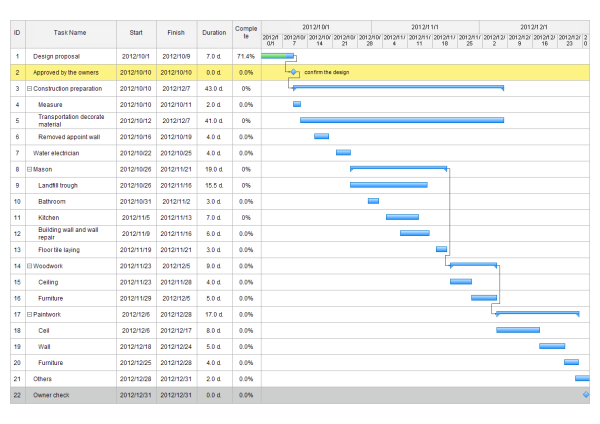 Actually, various kinds of events can be traced by Edraw Gantt Charts, large and small, from basic to extremely difficult ones. 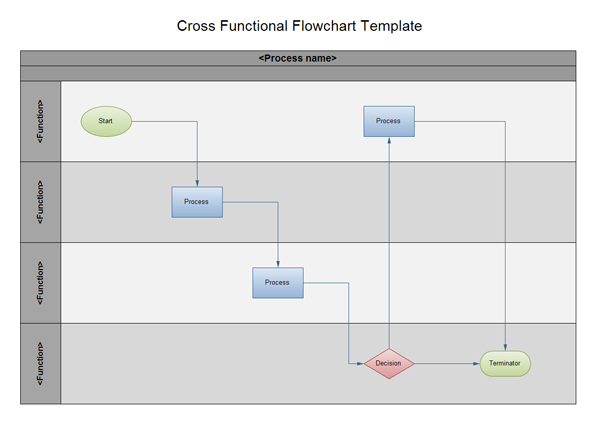 Flowcharts can not only demonstrate work flows, but also divide responsibilities for different departments. You can use Cross Functional shapes looking like swim lanes. Locate each department's responsibilities in one lane. Clear labor division can increase collaboration, efficiency and quality.